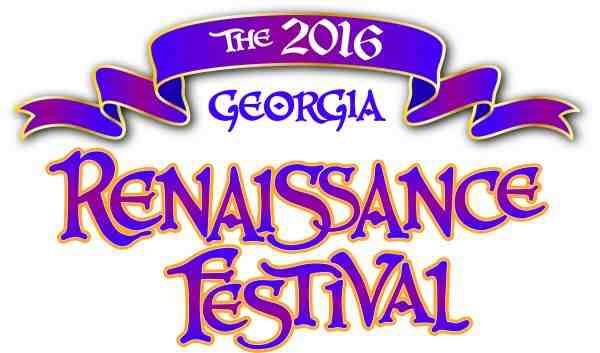 Every weekend and Memorial Day, April 16 thru June 5, 2016 The 31st Annual Georgia Renaissance Festival is a family-friendly event, and a different kind of theme park. Inside this 32-acre recreation of a 16th Century English Village you’ll find hundreds of costumed characters, the Queen and her Court, endless circus-style entertainment on 10 stages, shopping in over 130 artisan shoppes, food fit for Royalty, games and rides for kids of all ages, and the spectacular Jousting Knights on horseback. Patrons are invited to wear costumes and join in the fun too. It’s a whole lotta’ fun, and a little bit of History, every weekend and Memorial Day, April 16 thru June 5, 2016. Georgia Renaissance Festival Discounts – Get $6 off Adult and $3 off Child (6-12) tickets by using promo code “castle” when purchasing discount tickets on our secure website at http://www.garenfest.com. Tickets good any day of the 2016 Season (Weekends and Memorial Day Apr 16-June 5). Online discount only. Not good with any other offers.